Choose to Rebel. RScreens (Reality Screens) are all the rage in America's future, just a few years after the climax of World War III. They were invented for sport, convenience, and -- most importantly -- surveillance. Enna Price, an 18-year-old graduate from the Academy of Global Doctrines, learns the true scope of her society's evil upon deciding whether or not to accept its controlling technology. The life-altering choices that she makes will forever follow her wherever she goes, for better or for worse. 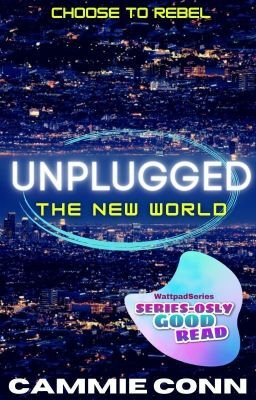 Unplugged: The New World is the first installment in the Unplugged Trilogy, and is an emotional journey packed with spine-tingling conspiracy, jaw-dropping betrayal, and heart-stopping romance.